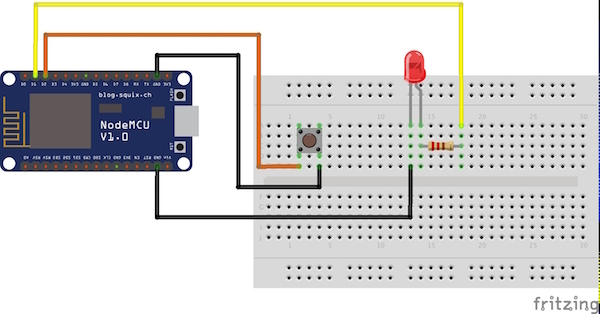 Learn how to set up an LED light or a 5V relay and control it using an Amazon Alexa Echo and ESP8266. 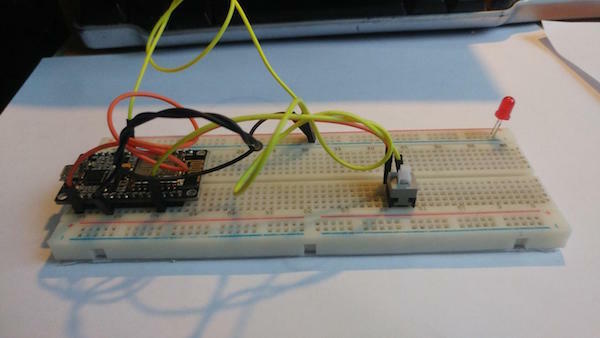 In this article, I will show how to set up an LED light or a 5V relay and control it using an Amazon Alexa Echo and ESP8266. 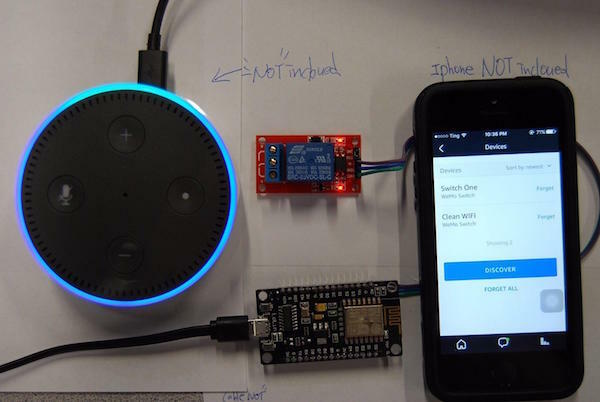 If you already use Amazon Echo or Echo Dot at home or in your office, you can easily add your own devices. This tutorial inspired me to create this project. 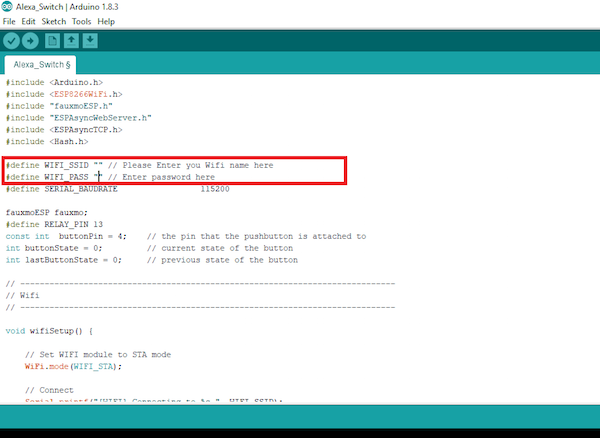 Moreover, you can easily modify this code to add as many devices as you need for creating new controls as well. 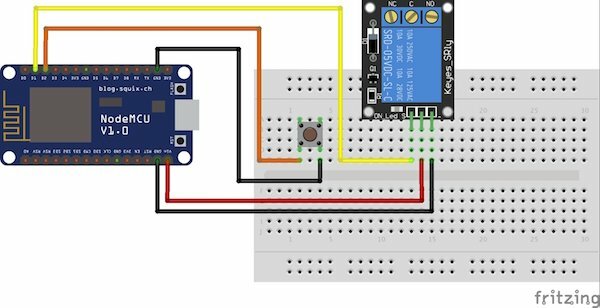 I am also adding a physical button to ESP8266 so we can easily turn the devices off and on with the button. 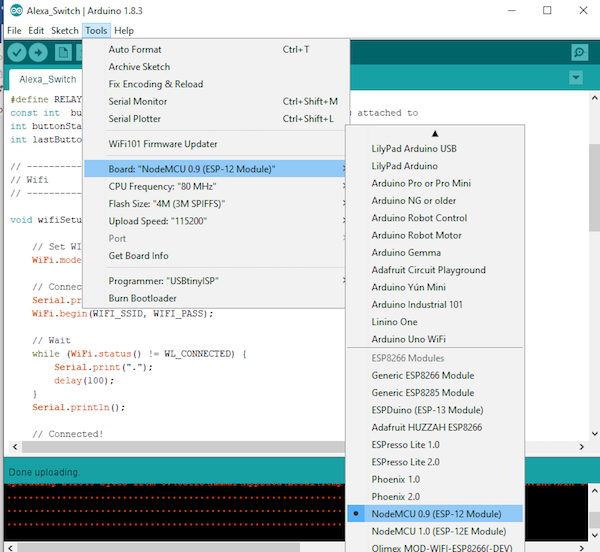 The Arduino code for this project uses the example sketch for the fauxmoESP library, which emulates a Belkin WeMo device. 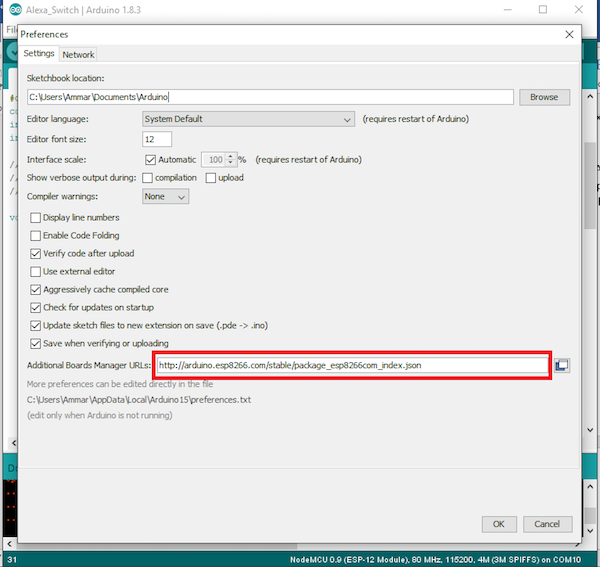 Consequently, configuring your home automation switch follows exactly the same process for a commercial device, which is a breeze in the Alexa app. To discover the device, I've named my device "the light". PLEASE BE CAREFUL OF HIGH VOLTAGE: Unplug everything before figuring the wiring with the relay. To control the AC portion of the circuit, I'm using a 5V relay — just interrupt the 220V wire and plug the stripped ends into the Normally Open and Common screw terminals. *Remember, if you don't have much experience working with high voltages, find someone who does to supervise. 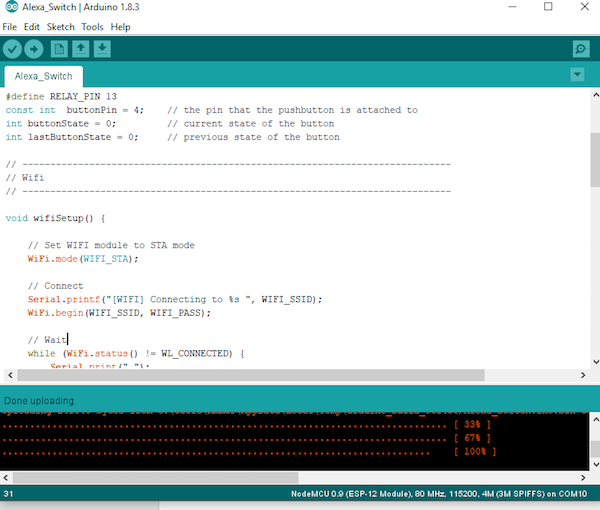 Next, install the board files and follow the mention steps. 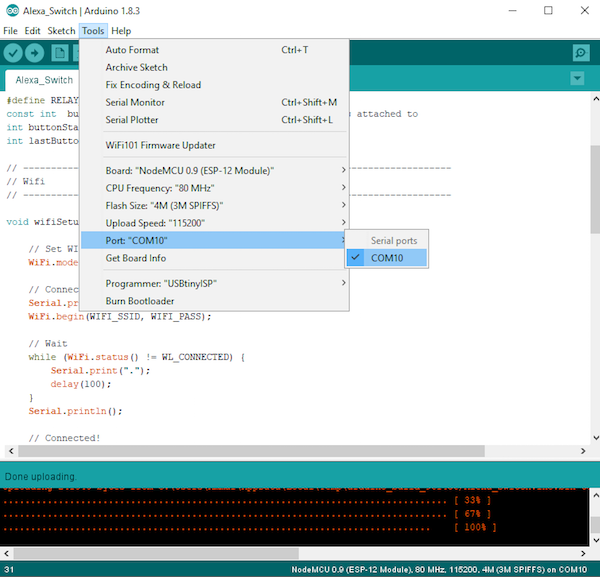 Search for ESP8266 and install the module package. 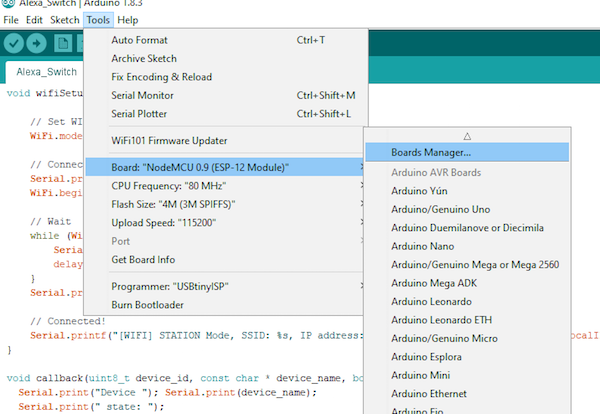 Select your board as shown in the figure below. After this, select the board port. 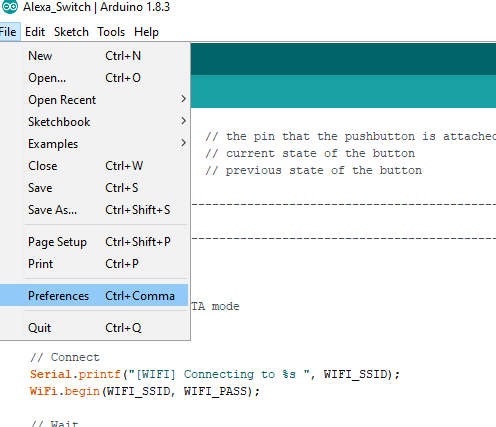 Ask your Alexa to discover the new device after uploading the code and it will detect your smart home device, which is the ESP8266. Control it by saying, “Alexa Turn On/Off light”. The Alexa in this case can either be your computer or the Amazon Echo.